This piece began with the large clay Bennington style marble in the reliquary. I found this marble as well as the other small ones while gardening in my yard in the late 1970's, in fact all the marbles in this piece were acquired in that manner, some are vintage, some antique. Marbles, basswood strips, copper mesh, acrylic paint, acrylic casting media. 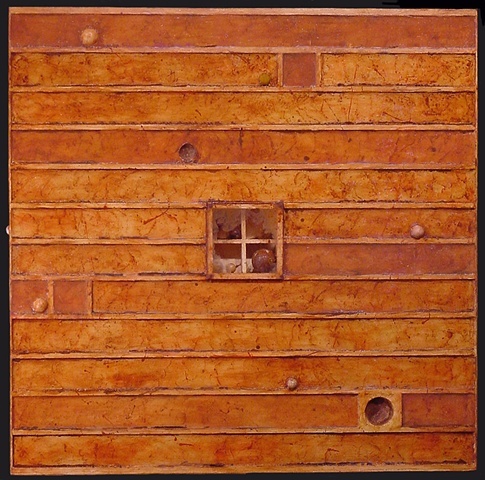 24 1/4" x 24 1/2" x 2 1/2" d.